Timeless and true, the Sawyer Mill Blue Ticking Stripe Tier Set of 2 L24xW36 offered by Country Vintage Home presents a classic ticking stripe fabric that remains fresh and up-to-date, coordinating effortlessly with the Sawyer Mill Ticking Stripe bedding. Beautifully textured cotton with ticking stripes offer a simple, romantic feel you can't resist for your farmhouse style home. 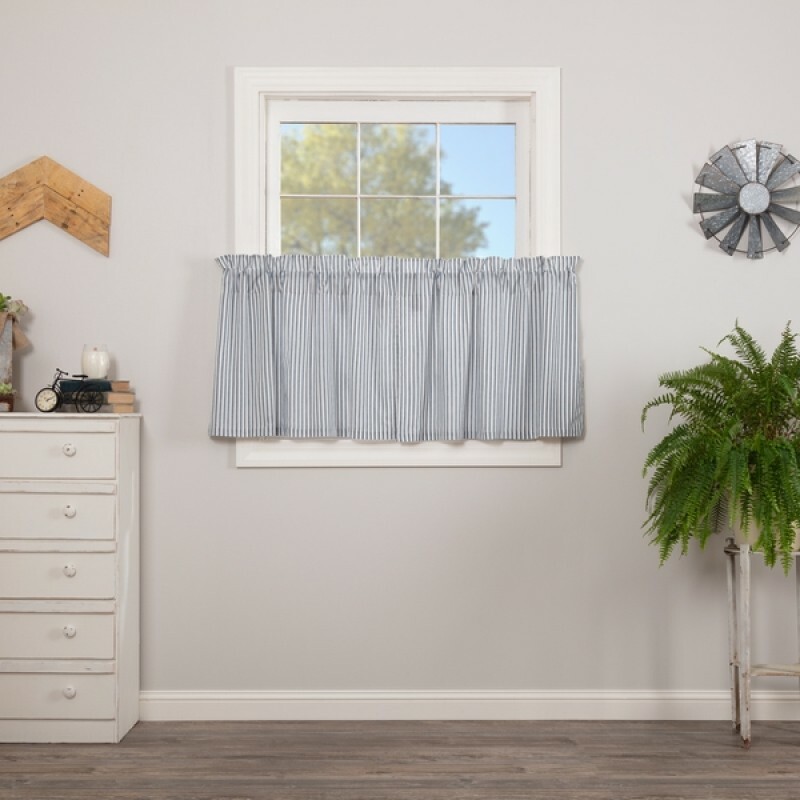 Country Vintage Home invites you to browse through the other selections in our Country Curtains collection, as well as the many other items in our store. We are sure you are going to find just the right piece or pieces to make your home a Country Vintage Home! Please Contact Us for availability and possible special pricing on bulk orders.